Almost every home owns a blender for a variety of reasons. It is a must-have in the kitchen and it is definitely worth owning one, especially knowing that your children love to make and drink milkshakes. Milk shakes have been very popular especially to kids. A lot of people love milk, especially when flavored with chocolate, banana, and strawberry. Milk is known to be very healthy. And turning plain milk into a milkshake is definitely a good treat for those who want to satisfy their sweet tooth. 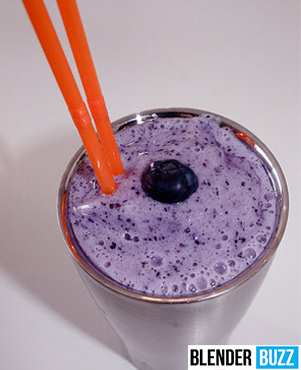 This sweet and delicious shake is certainly an all-time favorite. Grape juice is one of the healthiest juices that one can drink. Aside from being a delightful beverage, a grape juice includes flavonoids which prevent blockages in the arteries, making the heart healthier. And for those who would want to look a little younger, lose some weight and be fit, grape juice has anti-aging properties which help you obtain a brighter-looking face and a fitter body. It is a good laxative and is very good in controlling constipation. It has antioxidants which is helpful in boosting the immune system. Indeed, this is one healthy drink! Prepare the grape juice and make sure it is concentrated. Place the grape juice concentrate and the milk in a medium-sized bowl and use an electric mixer to blend the two ingredients. But for better and faster results, use a blender instead. Add the ice cream to the grape juice mixture in the blender. Cover the blender tightly with lid and put on high speed for about thirty seconds. Pour the shake into your preferred drinking glasses and serve it right away.